Our superconducting magnets are made for applications where no cryo-liquids are used to cool the magnet but instead are cooled via a 4K platform which in most cases is the 4K stage of a cold head. Magnetic fields up to 6 Tesla are available (NiTi wiring) were currents used are 20-40 ampere depending on the design of the superconducting magnet. 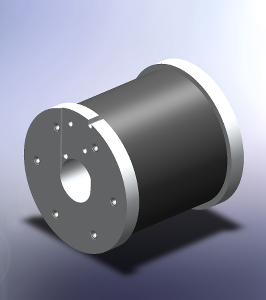 Typical applications are ADR magnets and material characterization. In addition we can supply current leads for the lower temperatures using high temperature superconductor tapes and current leads for the range from room temperature to <70K. Contacts to join the different sections of the magnet system are made with screwed contacts to facilitate assembly.